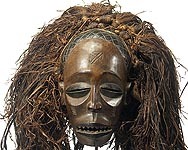 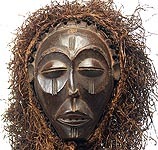 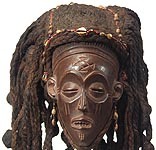 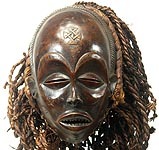 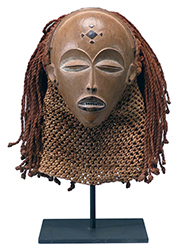 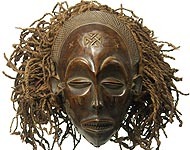 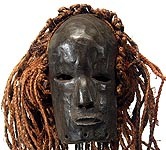 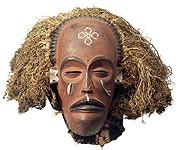 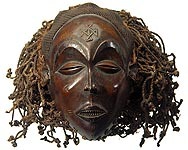 Masks representing ideal young female beauty, Mwano Pwo, were danced with male counterparts, Cihongo, during initiation ceremonies and other important occasions to bring fertility and prosperity to the village. 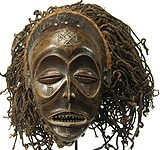 Most share the depiction of facial scarification patterns, filed teeth, fanciful and inventive hair styles, tear motifs and cruciform markings on the forehead. 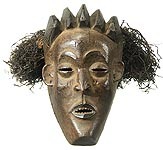 They are known for their high level of craftsmanship and aesthetic values. 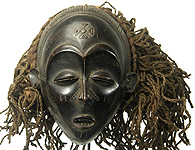 Despite their appearance, these masks show no evidence of age or use and were probably made to be sold.